What is The Lab’s Global Sustainability Fellows (GSF) Program really like, and how do the fellows use the knowledge gained during the program in their work and lives moving forward? 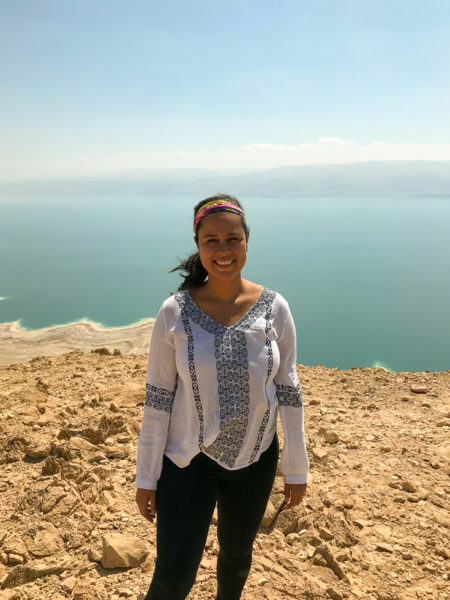 Recently, we had the pleasure of speaking with Mónica Muñoz, a fellow who participated in the 2018 GSF summer session at the Arava Institute for Environmental Studies in Israel. Mónica is from Mexico and is involved in communications, local development, and social impact work. She has facilitated communications for territorial development workshops throughout Latin America, served as a guest teacher and lecturer for development and communications programs in various universities, and has consulted on the design and implementation of models for social value creation in foundations and companies in Mexico. She told us all about her experience participating in the GSF program, and how she has integrated the knowledge she gained at the GSF into her life and career since the summer. Please read on for a brief interview with Mónica! The Lab: What made you decide to apply to the GSF? Mónica: I was really attracted to the idea of a deep educational immersion, through a program that supports a concept of sustainability founded in the idea of interconnectedness. Many programs focus on one aspect of sustainability (environment, economics, regulations, etc. ), but it is actually hard to find one that truly understands and promotes a systemic approach. 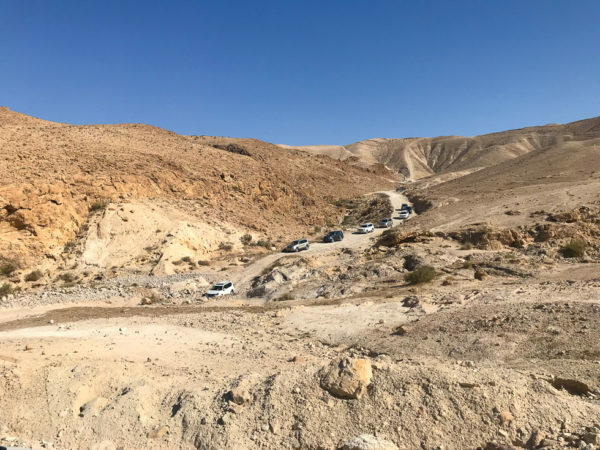 My work relates to designing programs and strengthening the social impact of private and public organizations, which I felt could be truly enriched by the GSF program’s theoretical framework, field work, tools, and the possibility to interact with people from around the globe in a completely different context—in the case of the 2018 program, the Negev desert. The Lab: What was it like to participate in the GSF? Mónica: We had a full-time schedule for three weeks. During this time, we were completely focused on the educational experience. Not only did we have lectures in the classroom where we dialogued about different concepts, but we also studied cases and experiences from diverse countries and regions, such as those related to the participating fellows. Furthermore, the daily routine of living at the Kibbutz Ketura (a collective community) exposed us to a different way of living that enriched our cultural backgrounds and gave a sense of full immersion into the program. 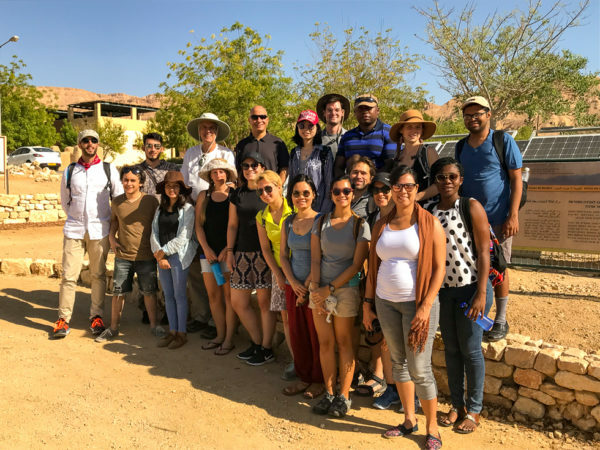 Finally, the program considered fieldwork that led us to visit other kibbutzim and apply The Lab’s sustainability framework and five core sustainability principles to these communities. The application of this framework educated our way of looking at the five domains of sustainability in real life scenarios. I am quite sure that once you live these kinds of experiences, the world simply looks different—more interconnected, I would say. The Lab: Can you share a favorite memory or experience from the GSF with us? Mónica: I have many pleasant memories from the GSF, but probably camping in the desert is the most memorable. We had the opportunity to travel with an amazing group of Bedouins. They were so generous to share their time with us and were proud to explain their history as a community, cultural heritage, and wisdom about the desert. I was and am truly thankful to have had the opportunity to appreciate the way they live their own sustainability framework through acts, culture, and a magical landscape. For example, I shared the entire trip with Nawwaf, who was the driver of the truck I was in. He is a journalist and knows the area pretty well. All along the route, he told us about the history of the region and how the Bedouins started to settled. Even his own family, after being nomadic for generations. His parents used to travel a lot, owned few things, and had erratic jobs. It was all so different from our life experiences! We asked a lot of questions about how he and his family understand the world when you come from a nomadic way of life, and I clearly remember one thing that he said: “First, I don´t like to stay in one place, I guess that is why I like to jeep, but also… I think Bedouins understand that they belong to the desert, not the opposite.” Upon hearing this, I thought about what we had been discussing during the GSF. In this simple phrase, we had a clear example of how the Bedouin people understand (or used to understand) their land, not as “something” to possess but as a “territory”, a place where life happens. The way we define environment, possession, even houses and jobs, reveals true expressions of the five domains of sustainability in real life. I learned that every person, group, community, even industry could be read by observing the outcomes of their beliefs. Finally, some people say that the desert has a unique magnetism and beauty that is not always perceived. But I can affirm that admiring the sunrise in the middle of the desert, in complete silence and with the Dead Sea on the horizon, was an almost poetic way to let settle all the ideas, collaborations, and cultural richness that the GSF program had offered in the days before, not only in my mind, but profoundly in myself. The Lab: How did the GSF affect or expand your understanding of sustainability and sustainable development? Mónica: It was the first time I had the chance to really discuss, reflect, and interact with an amazing diversity of people, whose backgrounds and experiences served to profoundly enrich the dialogue about sustainability. This experience gave me the opportunity, not only to truly understand The Lab’s sustainability framework, but also to look differently at real life in order to identify the model of sustainability that is behind everyday situations. No matter the scenario, location, or organization, sustainability is not an adjective, but a state of the system. The Lab: How have you integrated what you learned during the GSF session into your career and life moving forward? Mónica: Once you learn to see the world in a more holistic and systematic way, is easy to integrate sustainability in daily routines and work. In my case, I’ve included this approach in my career by promoting the inclusion of the five domains in my projects at work. I have also learned about the importance of words and context, and the importance of finding the right way to translate the sustainability framework into different contexts. For example, in private companies, public affairs, or community development. The Lab: How do you see yourself as part of the GSF program and community? Mónica: I feel very attracted to the idea of having a sustainability practitioner network where we can exchange experiences, debates, and ideas around projects and research that are changing the world. If we truly believe that a second order change must and can be done, we should reinforce individual motivations by having a network of support and inspiration. Moreover, I find that the network can have a potential level of influence in other institutions, networks, and decision makers that could catalyze further actions in multiple regions of the world. Also, I see myself collaborating with The Lab to design and implement future projects and educational programs, distinguished by their capacities to deliver transformative experiences, which drive changemakers to act at their own local or international levels to achieve sustainability. A big thank you to Mónica for taking the time to speak with us about her experiences and impressions of the GSF, then and now! We look forward to hearing more about how she applies the sustainability framework taught in the GSF into her life and career. Stay tuned for more information on the GSF!